In addition to admiring navy accent walls, I've also been drooling over sputnik chandeliers whether it's in the dining, living, or bedroom! It's an iconic decor piece for any person who loves midcentury design. With the name clearly referring to the Sputnik satellite that launched into space in 1957, it clearly resembles something space-age-esque. 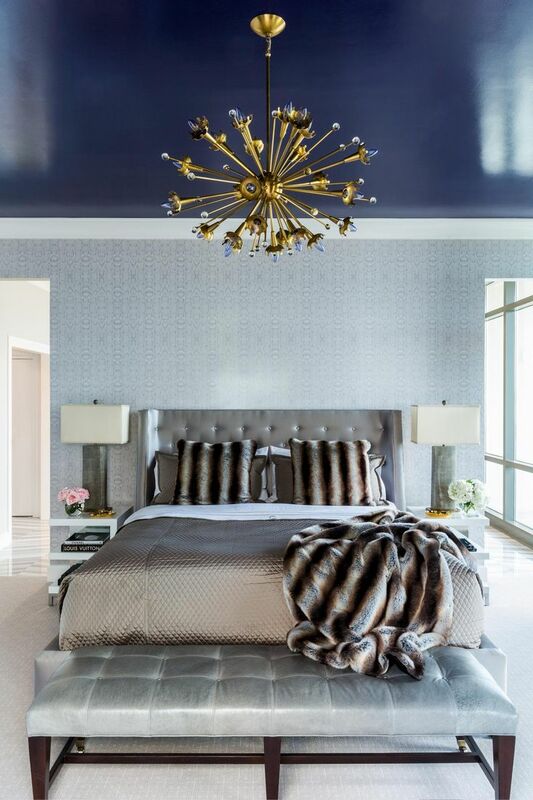 Although the chandelier has been around since the 1960's, it still looks amazing in modern spaces. 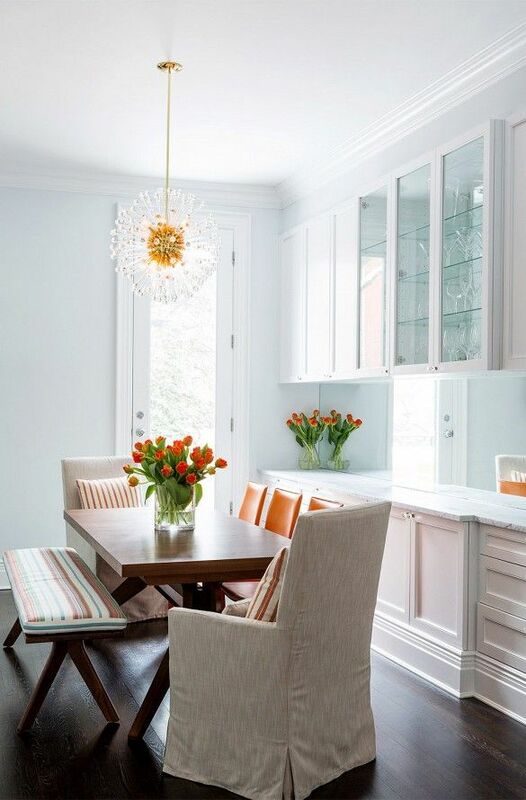 The one thing I really like about this chandelier is that it makes a statement without taking too much space visually. It feels light and airy since you can see through the body of the chandelier. It looks equally gorgeous in a light walled room, but shines like a star in darker decor. If the chandelier is large in size, it really feels like you have a star in your room. For more photos of spaces that inspire me, follow my home decor board on Pinterest!